The International Standard 60335-1 covers the safety of electrical appliances for household and similar purposes with rated voltage not more than 250 V for single-phase appliances and 480 V for other appliances. 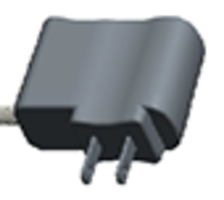 IEC60335-1 standard also applies to battery-operated appliances and other DC supplied appliances. Other appliances not intended for normal household use but which nevertheless may be a source of danger to the public, such as appliances used by workers in shops, in light industry, and on farms, are within the scope of this standard. Examples of such appliances are appliances for hairdressers, catering equipment, and cleaning appliances for commercial use. This standard covers the common hazards presented by appliances that are encountered in and around the home. Custom, Bespoke, or Customized enclosure colors, housing designs, circuitry, functions, output cord types and lengths, as well as customized packaging available upon request. GlobTek IEC 60335-1 certified power supplies can be supplied with customer designated output plugs, many of which are stocked at GlobTek New Jersey USA, GlobTek Germany, and Suzhou China locations. Many GlobTek power supplies also comply with and are certified to IEC 60950-1 2nd edition or IEC60601-1 3rd edition and have certifications by UL (North America), C-Tick (Australia/New Zealand), Iram (Argentina), BSMI (Taiwan), CB (Worldwide), CCC (China), Demko (Europe), eK (Korea), NRCAN (Canada), Spring (Singapore), SIQ (Europe), EAC (Russia), Singapore (PSB), and UkrSEPRO (Ukraine). They also comply with Canadian Nrcan efficiency requirements as well as FCC/VCC/CE emc requirements.